These Dewalt DE9503 18V 2.6ah Ni-MH Batteries feature long battery life & durability. 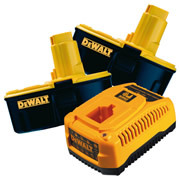 Compatible with all DEWALT 18V Tools. 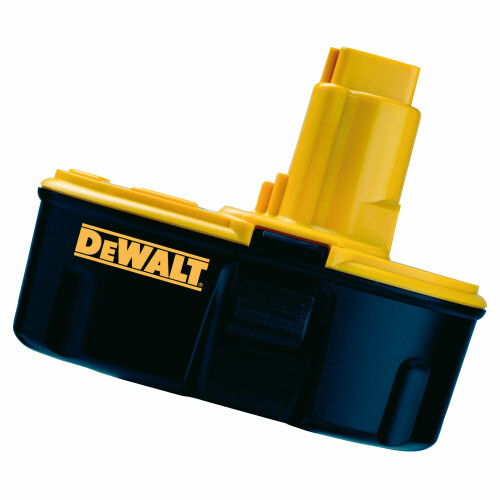 The Dewalt DE9503 batteries use Ni-MH (Nickel Metal Hydride) technology. With no memory affect these batteries can be "topped up" or charged at anytime without affecting battery life. Ni-MH batteries also tend to out-perform Ni-CD batteries in high drain applications. The Dewalt DE9135 18v 40 Minute Multi-Chemistry Charger will charge all Dewalt 7.2V - 18V Ni-CD Ni-MH & Li-Ion Nano Batteries (Not the XR Slide on Lithium-Ion batteries). The DE9135 will charge the 2.0Ah battery pack in 40 minutes minimising downtime. 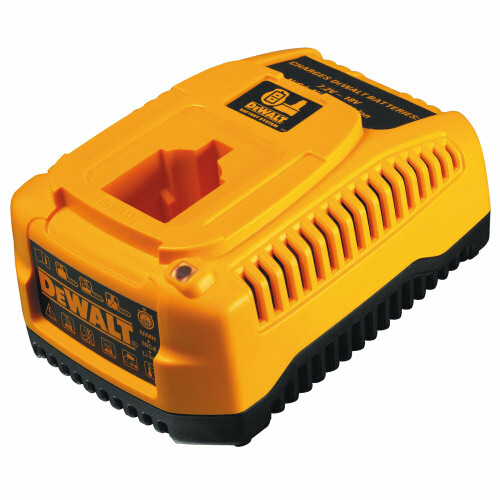 Dewalt's 3-stage charging system provides maximum runtime and extends overall life of the battery.Built in diagnostics with LED indicator on the Dewalt DE9135 lets you know the battery charge status: charged, charging, power line problem, replace pack, and battery too hot or too cold. Dewalt 3 Year Extended Warranty.